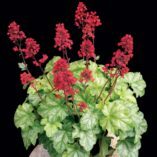 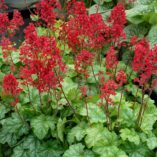 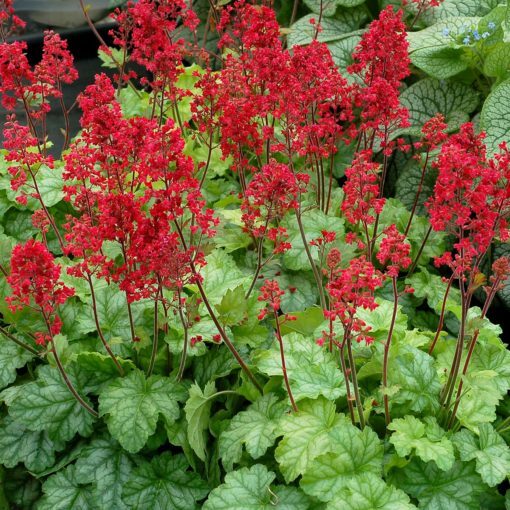 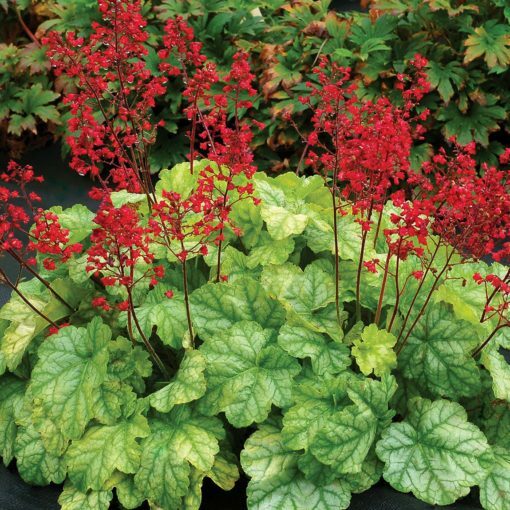 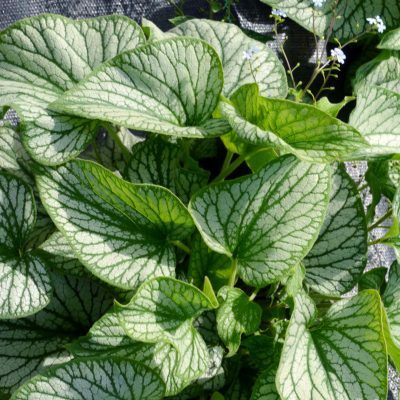 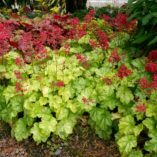 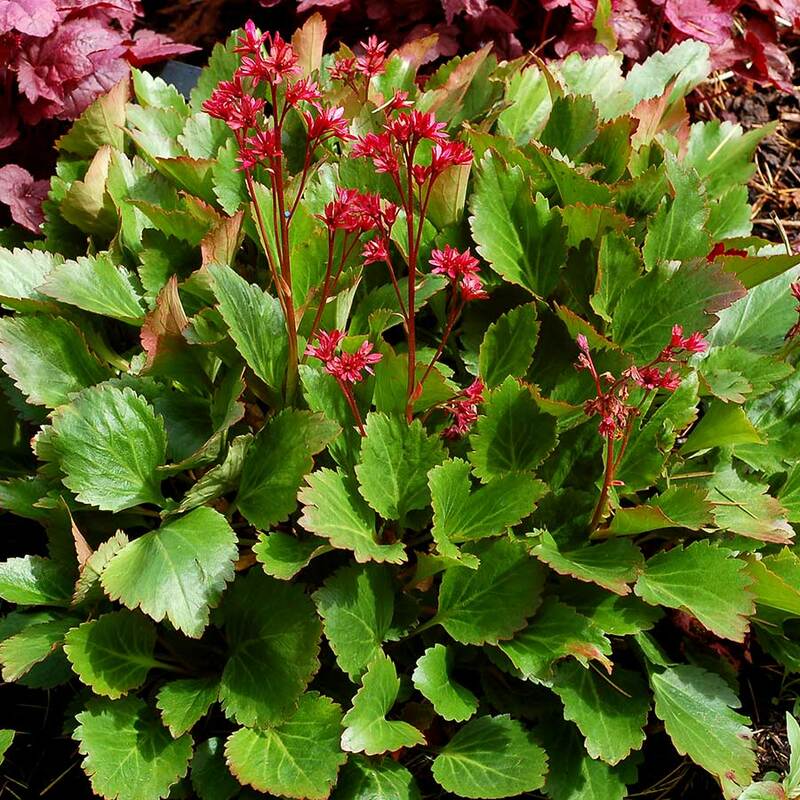 Heuchera ‘Tokyo’ | TERRA NOVA® Nurseries, Inc.
A great summer shade accent, Heuchera 'Tokyo' surprises you with its show of red blooms in July. 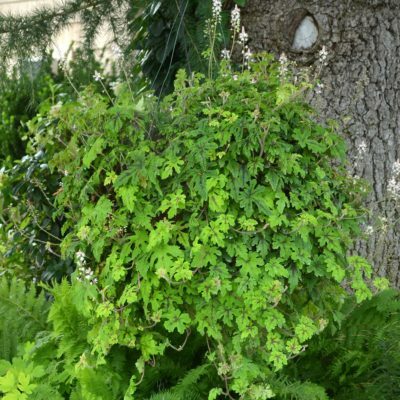 This large tight mound of lime green foliage has proven amazingly tough – beating out diseases and heat. 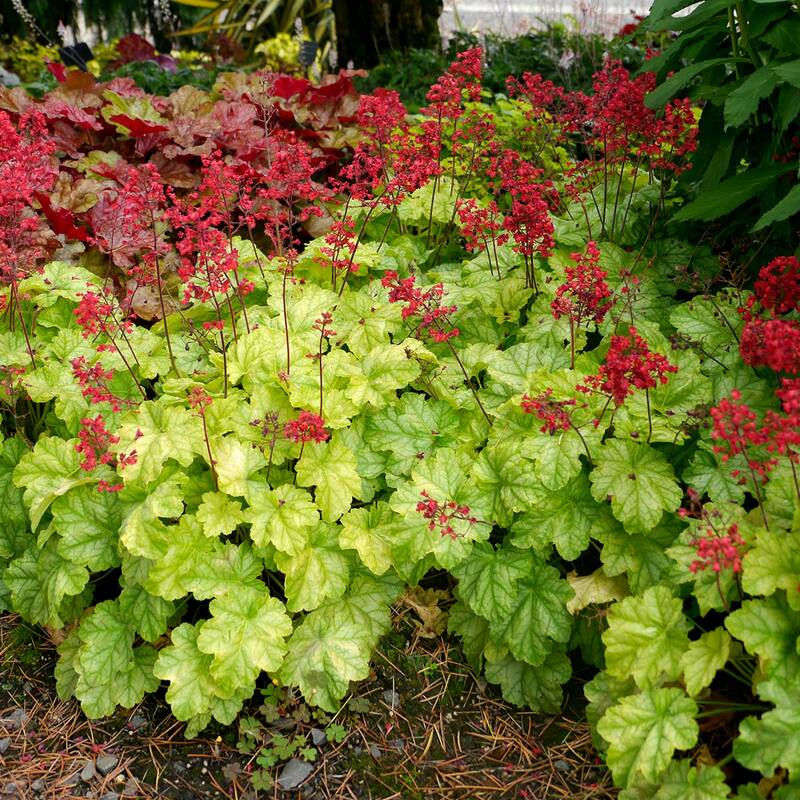 The flowers arrive in July and last through October in Oregon. 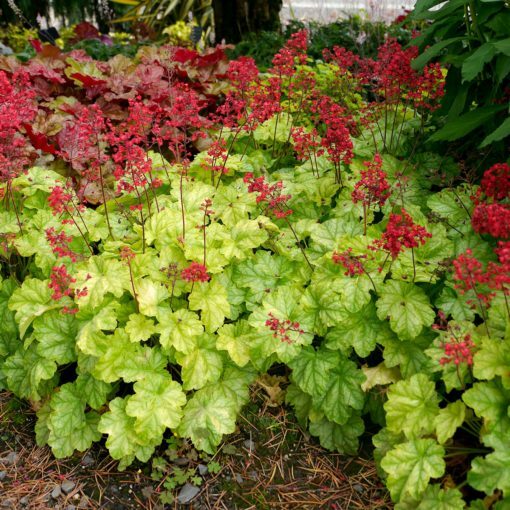 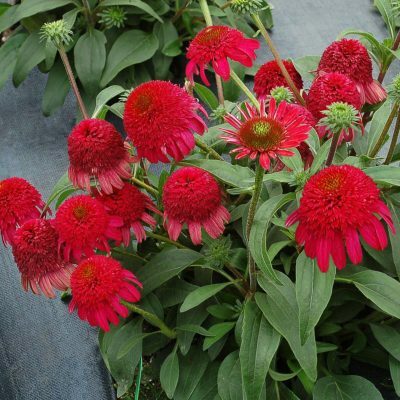 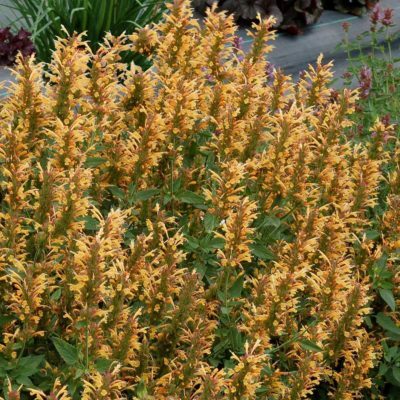 10" / 21" / 15"
Short spikes of red flowers bloom over wide low mound of lime green leaves in summer, July – September. 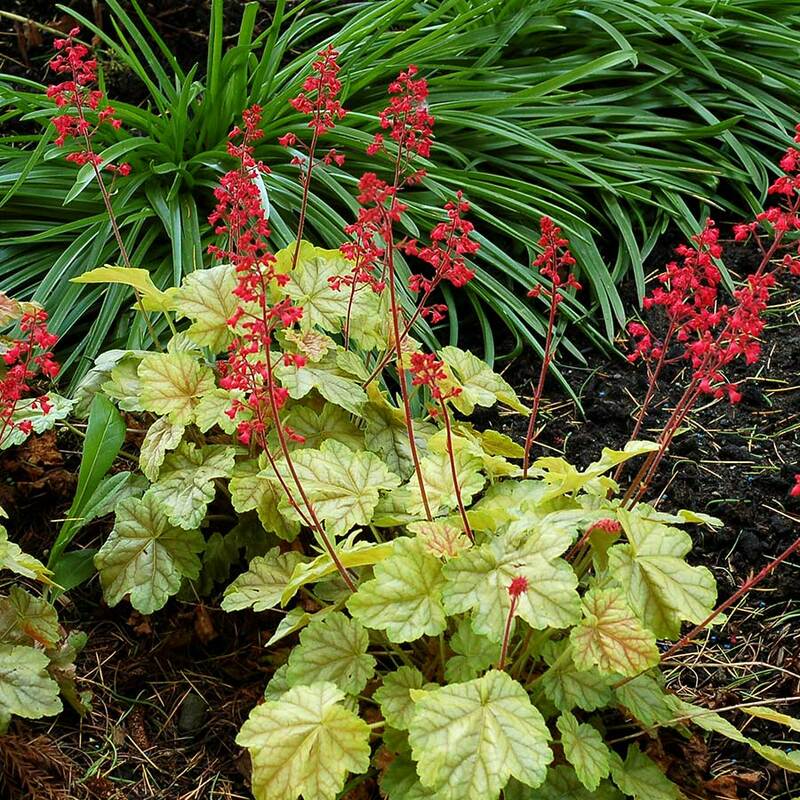 Great longevity. 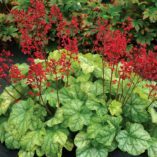 Accent, borders, mixed beds, containers.